Every now and then you meet an exceptional teacher. You feel like you really want to show her how much you appreciate her remarkable work. The best teacher gifts are gifts that say thank you. Express your gratitude on a piece of paper. Tell your child's teacher why and how you appreciate her outstanding work. Thank her for all the extra effort she made to help your child. Send a copy to the school principal. Make sure he knows what an excellent teacher she is. These letters usually become a part of the teacher's file and frequently forwarded to the superintendent's office. A handwritten heartfelt thank you note from your child can really make his teacher a bit excited. Some teachers treasure this notes for years. What do you like best about Mrs. X? What would you like to wish Mrs. X? Tell me a short story about Mrs. X. End the video with all the kids greeting their teacher by yelling something like "Thank you Mrs. X" or have each kid read out laud one word from a short message. If the kids are a bit older they can write skits, rap songs or poems about their teacher and video tape it. You can show the video at the class party at the end of the year. I have no doubt that their teacher will love it. Don't forget to give her a copy of the video. Homemade consumables are the best teacher gifts to give on teacher appreciation week (7-11 of May 2012). You can make loaves of bread, chocolate truffles, fudge, cookies, brownies, jams or any other goodies. Put them in a nice box, add a short thank you note and send it with your child. You can make a special lunch or a gift basket full with your best homemade treats and drop it off during the day to say thanks. You can use empty Pringles tubes to wrap your cookies. Martha Stewart has a beautiful envelope template to individually wrap each cookie. 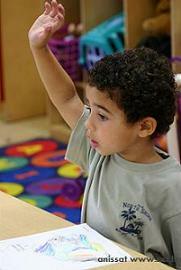 When did you last came across worksheets or handouts your child brought home from school? Most of them look like a photocopy of a photocopy of a photocopy. Some of them are light, other have spelling mistakes or other errors. How about re-doing them on the computer or creating new ones as an appreciation gift? After you are done give the teacher a disk with the new files and one hard copy for each worksheet. The following gift ideas for teachers are group gifts. You will need to gather all the students or have their cooperation and, in some cases, ask the help of other parents. Take a really big thick poster board and a small basket of markers. Write "Thank You Mrs. X" in the center of the board. Then ask all the students to write a short personal thank you note for their teacher. A class photo would be a nice addition. Instead of writing "Thank You Mrs. X" you can write each letter on a separate piece of paper. Give each student one letter and arrange them in the order of the greeting's spelling. Take a photo, enlarge it and put it in the center of the board. This is a great sentimental gift the teacher can hang in his class room. This is another great gift from our best teacher gifts collection. Take a photo of all the students. You can use the idea from above and give each student one letter from the short greeting. Print the photo on iron-on transfer paper (you can find them on every office supplies or craft store) and transfer it to a t-shirt. This is very easy and simple – you iron the printed photo, wait a few seconds and peel the paper off. This is a precious cheap gift that leaves a remarkable impression. This is one of the best teacher gifts a teacher can ask. In some years from now the teacher can open the book and remember all the special moments she shared with this particular class. Take a separate photo of each kid. Put it in the center of the page and ask the kid to write something for the teacher. You can help him with a sentence like "I like Mrs. X because…" or "Mrs. X is the best teacher because…" and let him answer. Have him decorate his page. Put a photo of the whole class with the teacher on the cover and bind all the pages. You can laminate the pages before you bind them. If you have photos of the kids during class activities or on field trips you can add them too. You can use a talking photo album and have each student record a message for the teacher. This will make the book much more personal and moving. This is one of the best teacher gifts to perform at the end of the year. With the help of other mommies arrange a thank you lunch for your child's teachers. Use the teacher's common room and decorate it. Send invitations and get the kids to help you as waitresses. You can ask all the parents to send a dish with their child on that particular day. Begin with a short appreciation speech and… Bon appétit!